« Photo Set Up Tips! 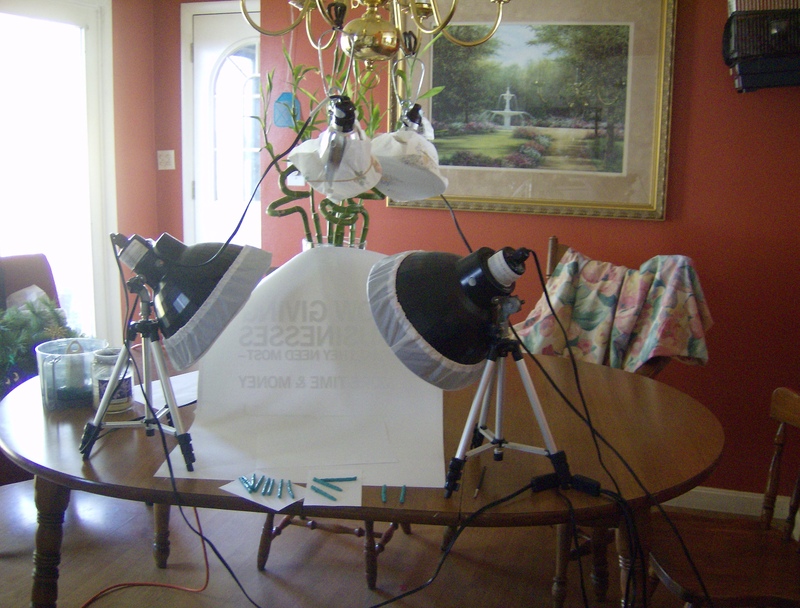 Okay so I found a new and better way today to set up the photo shots. I like the lights from the top and can hang two from the light :). I also like the natural light that comes from the windows. The third thing I like that you can not see is that the room that this took on my table now gives me a wonderful surface that I can fill up with creations in various stages. This entry was posted on November 30, 2009 at 5:28 AM and is filed under inspiration. You can follow any responses to this entry through the RSS 2.0 feed. You can leave a response, or trackback from your own site.